"Just call it a "Day of Insect Art!" Sunday afternoon, Jan. 21 promises to be a day of inspiration, creativity and delight when the Bohart Museum of Entomology hosts an open house, "Bug-Art@The Bohart" from 1 to 4 p.m. in Room 1124 of the Academic Surge Building, Crocker Lane. On the other side of campus, the Design Museum exhibition, It's Bugged: Insects' Role in Design will be open from 2 to 4 p.m. in Room 124 of Cruess Hall, off California Avenue. Visitors are also invited to pick up a colored pencil and paper and sketch an insect, said Yang. 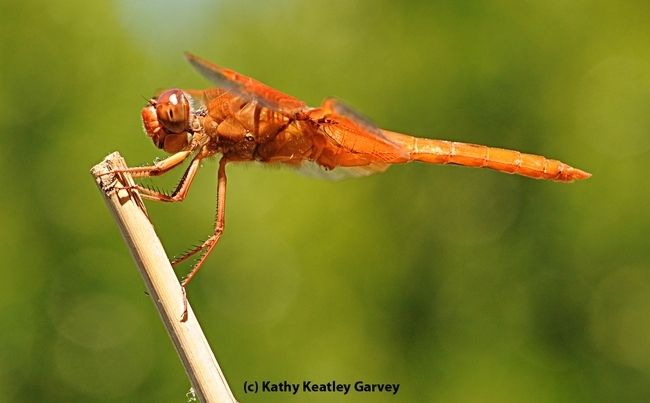 For those not artistically inclined, images of dragonflies from a coloring book by dragonfly expert/author Kathy Claypole Biggs and illustrator Tim Manolis, will be available for people of all ages to color. Open house attendees are invited to wear insect-themed attire, including dresses, ties, and jewelry. A contest will take place at 3 p.m. for the best insect-themed outfit, and for the best insect-themed tattoo (tattoo must be in a family friendly location). 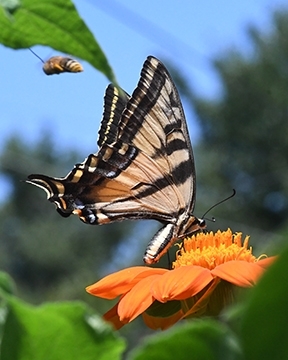 Entomologist Jeff Smith, who curates the butterfly and moth collection at the Bohart and is newly returned from a collecting trip to Belize, will be on hand to show the Bohart collection. At the Design Museum, among the work that visitors can view are the beetle gallery sculptures and hornet nest paper art of Ann Savageau, professor emeritus of the Department of Design; bee, butterfly and beetle specimens from the Bohart Museum; and images by UC Davis alumnus and noted insect photographer Alex Wild, curator of entomology at the University of Texas, Austin. Wild received his doctorate in entomology from UC Davis in 2005, studying with major professor Phil Ward. The Bohart Museum houses a global collection of nearly eight million specimens. It is also the home of the seventh largest insect collection in North America, and the California Insect Survey, a storehouse of the insect biodiversity. Special attractions include a “live” petting zoo, featuring Madagascar hissing cockroaches, walking sticks, praying mantids and tarantulas. Visitors are invited to hold some of the arthropods and photograph them. The museum's gift shop, open year around, includes T-shirts, sweatshirts, books, jewelry, posters, insect-collecting equipment and insect-themed candy. The Bohart Museum holds special open houses throughout the academic year. Its regular hours are from 9 a.m. to noon and 1 to 5 p.m. Mondays through Thursdays. The museum is closed to the public on Fridays, Saturdays and Sundays and on major holidays. Admission is free. More information on the Bohart Museum is available by contacting (530) 752-0493 or emailing bmuseum@ucdavis.edu or Tabatha Yang at tabyang@ucdavis.edu.